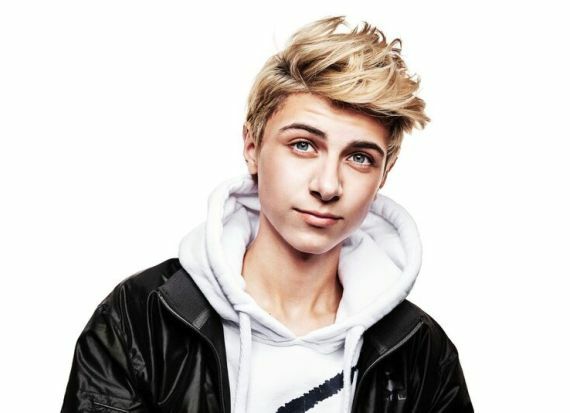 Mit der neuen Single „Nobody Knows Me (Like You Do)“ setzt Lukas Rieger das erste Ausrufezeichen seines dritten Studioalbums „Justice“, das am 17. Mai 2019 erscheinen wird. Der 19-Jährige ist als Person und Sänger zuletzt sichtlich gereift, was in der neuen Single auch deutlich durchklingt. „Nobody Knows Me (Like You Do)“ ist ein moderner Liebessong, in dem Rieger eine vergangene Liebe besingt, die es in seinem Leben nicht mehr gibt - an die er sich jedoch gerne zurückerinnert. Der Song ist gleichzeitig ein Aufruf: Nutze deine Chance und geniess die Zeit, die du hast.Der Sänger reiste für den Videodreh nach Marokko und begab sich auf einen Roadtrip durch Marrakesh, von der Wüste bis hin zum Ozean. If the journey is the destination then Lukas Rieger arrived quite a while ago. Because the things the 17-year-old has already experienced on his spectacular journey to the top of the Pop-Olympus, are beyond impressive: Recording sessions in L.A. with the producers of Justin Bieber, Selena Gomez and 50 Cent; Collaborations with the songwriters who have worked with Chris Brown, Rihanna and Justin Timberlake; and millions of loyal followers on Instagram, Twitter & Co. And Lukas Rieger hasn’t even really started yet, he is at the beginning of his career. But let’s go back a little – a journey should always start at the beginning. Lukas’ father played the guitar, his mother played the piano. She was also a music and English teacher, so he got his musical talent from her as well as a good sense of the English language. Lukas, for his part, knew how to use both early on and started singing to instrumental versions of international hits at the age of eleven. Not long after that, he started writing his first own songs. “My parents couldn’t get me to leave my room, I was so engrossed in the music”, Lukas laughs. The logical consequence: Uploads of the first homemade videos on YouTube. The response, however, was sobering. “Ninety percent of the commentary was negative”, Lukas recalls. “People didn’t think I could sing. I should just stop. Suddenly, my entire school was against me.” The worst possible way for a pop star’s career to begin. Finally, his talent had been recognized, there were people and labels who wanted to work with him. The collaboration with his first manager was unsuccessful, but when Lukas met his current manager Marian Schmid, things started happening. The two of them share the same enthusiasm, have the same vision. And they were prepared to take the next crucial step in realizing this vision: Establishing Lukas as an international pop star. There are many different ways to reach this goal, many different paths to take. But Lukas’ path initially led him to Los Angeles. He met world-class producers there, who work for the who’s who of the US pop elite: he met Riley Urick, who has collaborated with Chris Brown, Rihanna and Enrique Iglesias; he met T-Coles, songwriter for Justin Timberlake, Usher and Justin Bieber; he met Claudio Cueni, responsible for songs by 2Pac, Ariana Grande and Santigold – and many many more. Lukas convinced them all: Of his talent, but also of his passion and unconditional determination to live his dream. One important detail should be mentioned: Lukas wrote most of the songs himself. And this, by far, is not a given, especially not at the tender age of 17. And now, almost three quarters of a year, several trips to the States and a lot of blood, sweat and tears later, it is finally here: his debut album “Compass”. A complex, multi-dimensional album, which cannot be pigeonholed and knows no bounds in terms of genre: Captivating dance-drops meet urban beats, acoustic singer/songwriter elements encountercatchy pop melodies built for eternity – all of it embedded in an ultra-modern sound that surpasses the limits of any listening habit in a pleasant way. Just take the first single “Elevate”. Every beat, every note, every syllable is on the pulse of the time, at the same time the piece captures a remarkable timelessness in terms of structure and melody, which can easily hold up to an international comparison. Or take the enthralling “Let Me Know”, an impelling mid-tempo track with its instrumental innocence which unfolds entire galaxies of emotion. Fear meets happiness, hope confronts melancholy – an ode to (first) love set to music. Everything will be alright if the affection of another person completes your world. Or take the balladesque “Human”, where Lukas presents himself at his mostvulnerable. The minimalistic arrangement has an enticing simplicity to it, the astounding approachability of the piece is captivating. The song has catapulted Lukas out of the shadows of his self-imposed pop star status back into the spotlight, exposing the full range of human emotion. The title of the album “Compass” is the ideal choice. For this album will pave the way for Lukas to turn his musical vision into recorded reality at last; points straight towards the future, for the future is the soundtrack that he created on this album. “My heart is my compass, and I follow it blindly”, Lukas says. And he is wise in doing so. And whoever listens to “Compass” will follow him. Piece by piece by piece – and back again.